(a) Check the SRS warning light operation approximately 6 seconds after the ignition switch is turned to ON. (c) Check that the connector is properly connected to the center airbag sensor assembly. 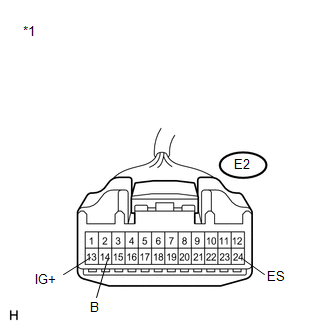 (d) Disconnect the connector from the center airbag sensor assembly. (c) Operate all components of the electrical system (defogger, wipers, headlights, heater blower, etc.). (f) Measure the resistance according to the value(s) in the table below. (b) Check the SRS warning light condition. Refer to Bus Check for the CAN communication system (See page ). 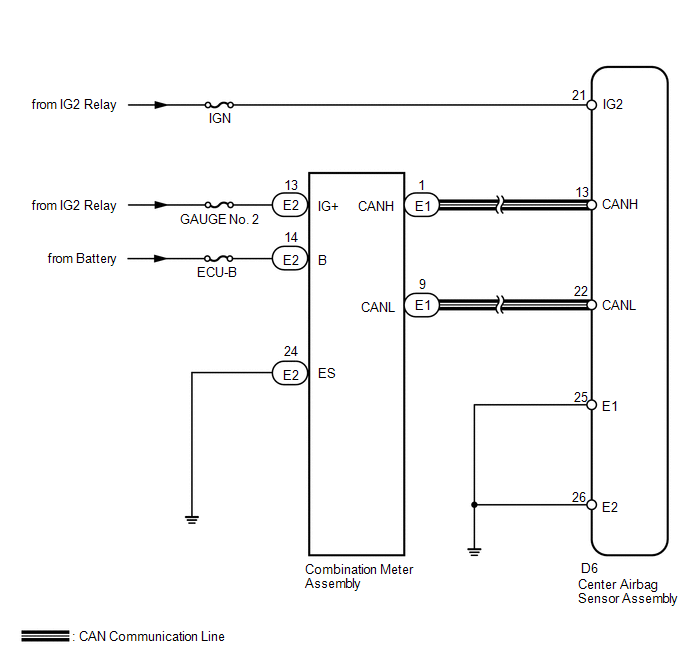 The center airbag sensor assembly is connected to the CAN communication system. Therefore, before starting troubleshooting, make sure to check that there is no trouble in the CAN communication system. (b) Check that the connector is properly connected to the combination meter assembly. 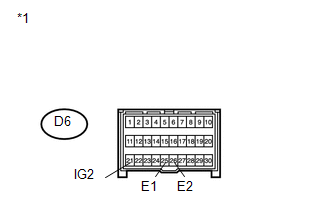 (c) Disconnect the connector from the combination meter assembly. (d) Check that the terminal of the connector is not damaged. (e) Check the SRS warning light condition.